I have been super obsessed with themed Christmas gifts for my friend's kiddos. 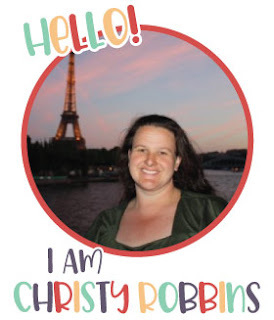 I mail them out, and with so many aunts and uncles present on Christmas day, I've been sending packages the kids can open in advance to enjoy throughout the holidays. A few years ago I did the twelve days of Christmas, which was a hit. Last year I did themes like the above gift-reindeers. 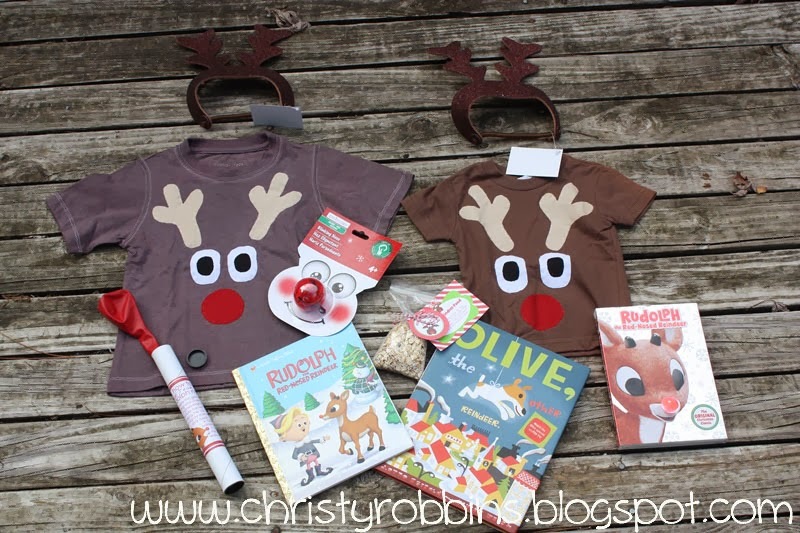 I included shirts, a few of my favorite books, movies, and lots of goodies like blinking noses, reindeer food, antlers, and make your own nose. I made reindeer food a few years ago and blogged about it here. 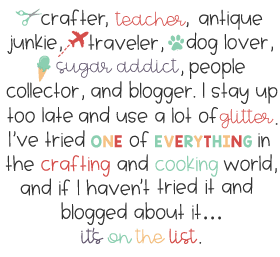 I found a free printable on Amanda's blog when I made it this year. 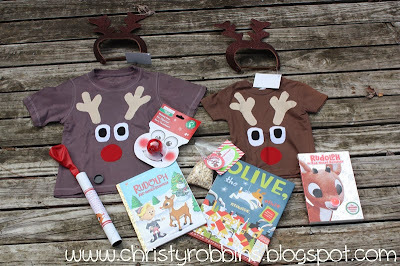 I blogged about the shirt and reindeer nose with free printables/sources etc a few days ago. I've already mailed off this year's themed gifts I'll blog about in the future. It may be more fun for me as the giver than the gift-ed.